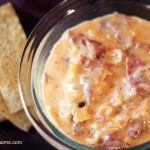 A slow cooker Reuben dip that is going to blow you away! Let the slow cooker turn your favorite sandwich into a deliciously creamy and cheesy dip! 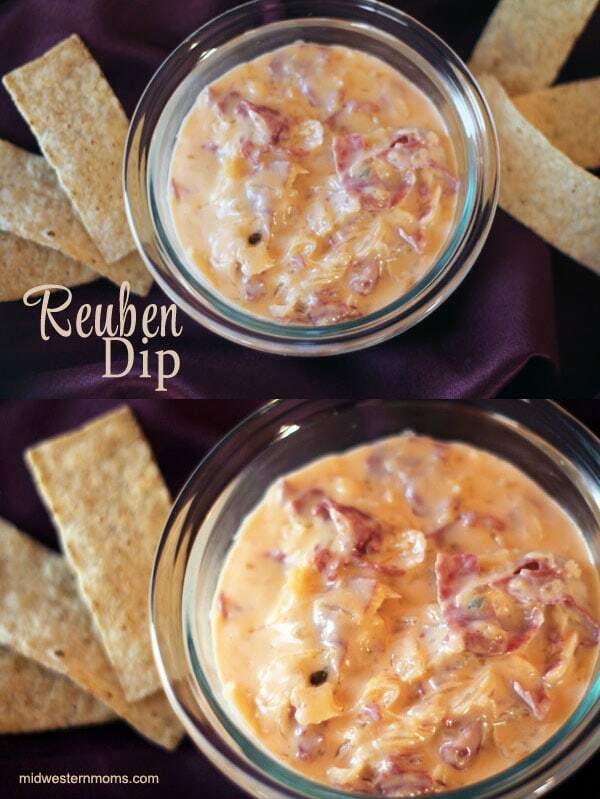 I consider myself a connoisseur of the Reuben sandwich, so the first time I had this Reuben Dip, I was blown away. I couldn’t believe it was a dip, and more importantly, I couldn’t believe that I had never had it before. This dip is best eaten with a sturdy tortilla chip because it is very thick (due to the sauerkraut). I’ve tried to eat it with thinner tortilla chips, and they always end up breaking before they reach your mouth and trust me, you don’t want any of this dip to escape your lips. Know what would even be better than tortilla chips to go with this recipe? Mini pieces of rye bread. 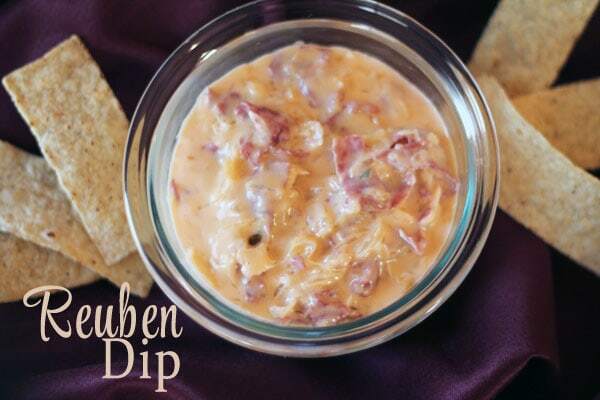 A slow cooker Reuben dip that is going to blow you away! Let the slow cooker turn your favorite sandwich into a deliciously creamy and cheesy dip! Perfect for game day parties! Using a knife, cube the Swiss cheese and place in a crock pot, or large pot on the stove. Either way, turn to medium heat. Add the rest of the ingredients above and continue to stir until all cheese is melted, reducing to low heat when the cheese is melted. 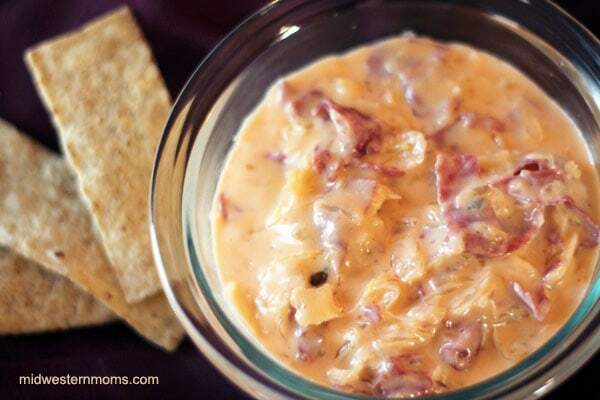 Serve with tortilla chips, or crackers. Are you a fan of Reubens?